Susanna talked about the simple strategy all influencers used to grow their Twitter accounts. Today’s post is about why Twitter and content together are the best way to start a social media traffic generation strategy. 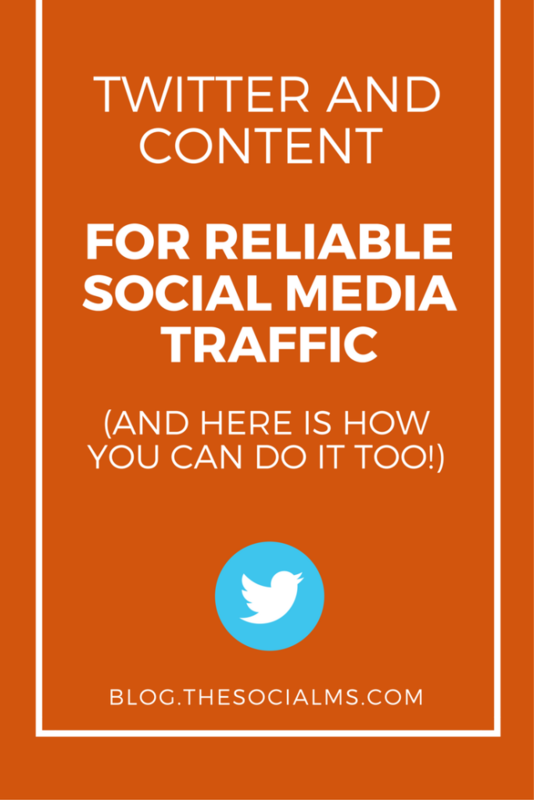 Twitter and content (whether curated or original content) are at the heart of every single reliable social media traffic generation strategy I have ever seen. Social media is not the only way to gain web traffic. The most popular other ways are: search engine optimization (SEO) and advertising. And depending on what you are doing, these are valid ways and can be used. Create loads of links to your site (not caring where they come from) or even pay a SEO company to do this for you. Spam your site with loads of content, to make more content available for the search engines to see. Once you do this, your traffic does not come from a reliable source anymore. The next Google update can cost you 90% of your traffic. Even without a specific update, you might find that in your need to scale your traffic up you will have crossed a line and your SEO traffic might start decreasing instead of increasing. 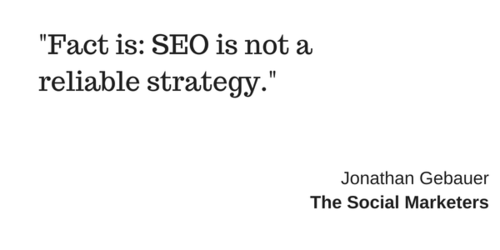 Fact is: SEO is not a reliable traffic source in most cases. Social media marketing is different. If you invest the time and effort you need to create a social media presence, then you will have a web traffic source that is reliable and can even continue to grow over time. At least if you follow a few basic principles. A few words about advertising: When you are starting out, this is sometimes a good way to create initial traffic. It is also a really good source for event or date based traffic generation (Are you marketing a conference – go for it). But advertising costs money – and every marketing budget has a limit. There are examples of things turning viral, of a single Facebook post suddenly creating loads of revenues. Let’s make something clear from the start: This is not what you are after if you follow the principles highlighted in this post. Enjoy it if it happens, but it has nothing to do with reliability. The first thing we are going to talk about is content. Because you are going to need a lot of it. Just like with SEO. But unlike SEO, social media allows you to legitimately use existing content by other people to create your social media accounts – and they will ultimately become your traffic sources. This concept is called “Content Curation”. Research all the blogs, influencers, famous social accounts, online magazines and what else you can find that is active online within your area of expertise or the niche you are creating influence in. You will read their stuff and you will start sharing what you think was good. In fact, you should allocate some time per day to reading and rating content and then, share it around. You will get some attention as your social accounts will share content that is valuable to your audience. You will also gain a feeling for what your audience wants to see – which will in the long run enable you to create focused pieces of content. Which you will add to the mix. If you have your own content already, you should of course share that as well. But even if you already have fifty articles on your blog – they are not enough. So add some curated stuff into the mix. Continue your own content creation. Become a better content creator. But also continue content curation – have a look at social media influencers. All of them curate content as well as share their own. Twitter is a valid interaction place for every topic. There is no topic that does not have a reachable audience on Twitter. Twitter is reliable: Twitter does sometimes make small changes, but it does not make big changes to its system that will suddenly crash the traffic you drive from it. There is no algorithm determining whether your post is shown to your followers. Twitter is a place where you can openly reach out to other members (as long as you behave yourself). If treated right, Twitter is the most reliable traffic source on the planet – you might not drive as much traffic per Tweet as you might for some Facebook posts, but it is possible to drive 10s of 1000s of clicks per month from Twitter. Twitter can be used to grow your other social channels as well via cross promotion. So, for a good start, start working on your Twitter account. You will need to start tweeting. Start tweeting 10 times a day. Finding content to tweet 10 times a day is easy once you follow the curation advice above. The free version of the tool Buffer will allow you to set up a schedule for 10 tweets in advance, use it to spread out these 10 tweets over the day. With your own content and added content through curation, this can be done in 10 minutes a day. But simply tweeting content alone won’t cut it. To build authority, influence and followers you will need to reach out to people. The following is a way to do that, but it is only a short summary of the post Susanna wrote yesterday: The strategy that influencers used to gain 100s of 1000s of followers. Follow a certain number of people from your niche every day. After a couple of days unfollow those who did not follow back. When you are first starting out, you can follow a maximum of 2000 people… BUT: Twitter is very careful not to allow people to just build a following by rapidly following and unfollowing accounts. Start following no more than 20 a day. You will never be able to follow more than 10% more people than are following you, after you hit the number of following 2000 people. When Twitter thinks you are too aggressive they will suspend your account. The first time is only a warning shot usually. You will need to promise not to do it again. Be careful anyway. How many people you can follow every day will strongly depend on how many followers you have and how active you actually are. As said before: start with 20 people a day. Start to notice how your account will start to grow – and slightly increase the amount. At a certain point, organic growth will kick in as well, and you won’t need to gamble on this as much anymore. To identify accounts interested in your topics to follow, follow the Followers of influencers in your space. Even if you only want to use the free version right now, sign up for it now, get a feel for it, see what it can do, so you know how much time it will save you when you need it. Why is this the “Backbone for Social Media Traffic”? 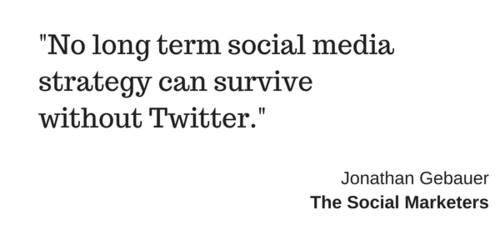 Content is needed for any social media strategy, while Twitter is the only reliable social network, as described above. Each Tweet won’t give you a lot of traffic, but the amount of tweets you can post with consistency will increase your standing. You can use Twitter to cross promote your audience to other social channels, to generate reliable base traffic, to test headlines and content and for direct outreach to followers and influencers. 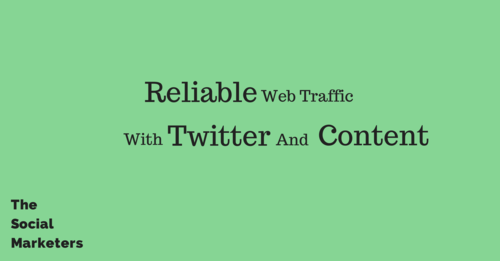 Twitter marketing can give you awesome traffic. But you have to know what processes to set up and how to fill your Twitter feed with content, activity, and engagement. We have used Twitter to grow our first business to over 500k page views per month. We grew this blog to 50k visitors per month in just half a year. And we give you the same process that we used with step-by-step instructions and action plans you can follow to use your content to grow your Twitter audience and get awesome traffic – no advertising involved. Get started today and see first results within days, considerable traffic in 4 weeks. 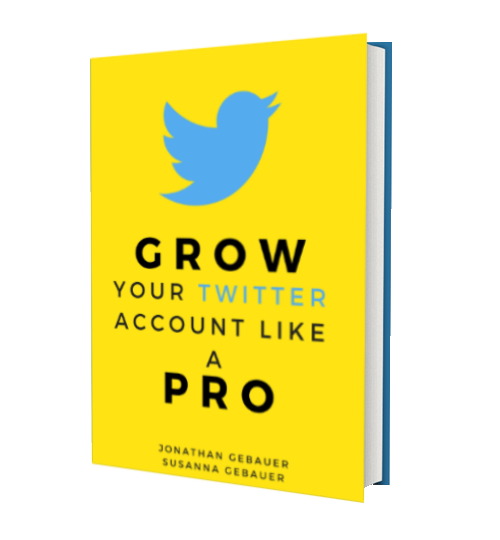 It is all there in our ebook “Grow Your Twitter Account Like A Pro.” Check it out – there is an offer for you!